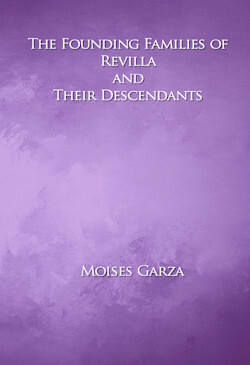 This book is about the Founding Families of Mier, Tamaulipas, Mexico and Their Descendants. It is about the nineteen families that settled in el Paraje del Cantaro, now Ciudad Mier, Tamaulipas, Mexico back In 1753 . The idea for this book came about since the very first time I read the book “Mier En La Historia” by Maria Antonio Guerra. 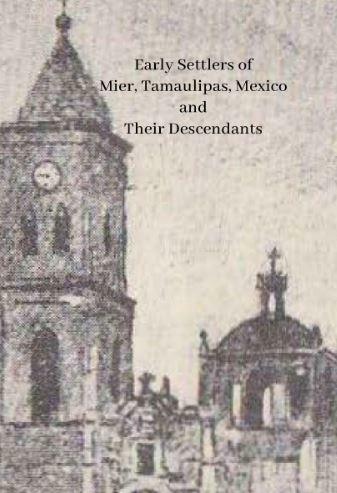 Mr. Guerra in his book provides a transcription to a document found in the Mier archives listing the 19 families that were to settle what is now Mier, Tamaulipas. This interest grew over time since I am a descendant of almost half of the families mentioned and I knew that many other people are also descendants of them. My vision is to identify every descendant of these families. This book is a start and even at 426 pages, there is a ton of further research that has to be done. There were several families that I could not find anything for but I still listed them in the book since I felt that it would have had not been right no to list them. Please note that an attempt was done to not list living people so please don’t expect to find descendants of theirs that are still living. Also if your family or ancestors are not listed it is because I have no information on them. If you would like for them to be included in future editions of this book send me their information so that I can research them and include them. In 1753 nineteen families settled in el Paraje del Cantaro, now ciudad Mier, Tamaulipas, Mexico. This book is about those nineteen families and their descendants. Here is the table of contents of this book so that you may know exactly which families were the founding families of Mier, Tamaulipas. At the moment of writing this the only place that you can buy a copy of this book is through Amazon. So we are distant cousins, glad you like the book. I counted about 9 that I know of. I send it to the twins and reminded them it was almost Mothers Day so I am sure they will get it for me! Good thing I had 4 boys. I know how to handle them Had! Ha! I know you will like and enjoy the book. 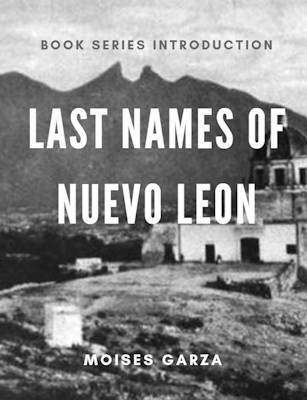 Moises I don’t know if this book would help me since my family was from Nuevo León and I don’t have very much info from them my grandparents died in there fortys my mom was left an orphan at the age of 11 or 12 really don’t know ? So I hope u get this message . And they lived in Harlingen Texas when they died. Last name Salazar grandmother ??? 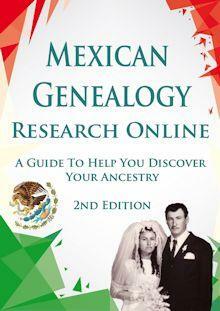 If your parents where from Nuevo Leon I do not think this book is right for you. 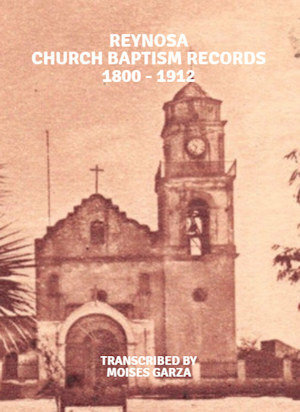 Since most of the families listed arrived in Tamaulipas around the 1750’s. The book contains many of the descendants of those families. I would suggest you start by looking for the birth certificates of your parents and grandparents. Then look for them in FamilySearch.org. They have a ton of documents for Nuevo Leon. Good luck in your research. Oh don’t forget to join our Nuevo Leon and We are Cousins Groups on Facebook. I am a descendant of Mier. My mother was born there and it is said of “Categoria”. I truly hope you like it and that your family is listed within the pages of the book. Any mention of a Donato García and Juana Ramos who had a son in December of 1863. I don’t seem to find any information of Donato other than birth to his son Biviano. I want earlier info. Donato was born in Mier around 1840. His father is possibly Fransisco Garcia married to ? He is probably born around 1810. I feel strongly that the Garcia’s are settlers also from earlier but I’m stuck and can’t find a relative connected – Thanks. I searched my database and don’t have them listed but yet I have yet to go over the birth records for Mier. Have you searched for the son’s birth record at the Civil Registration Records index available at ancestry? If you find it it should have the names of the parents listed. 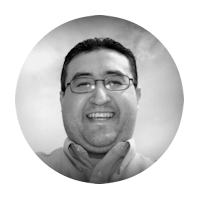 Mr Garza, I admire your work and really appreciate your sharing, especially since my own research time is so limited. I do have a few questions that you or your audience may be able to answer. First, Where can I find an old map of the Mexico/US border area with the names of towns, ranches, etc? Ranch Garcia/Garciasville was my maternal ancestors’ home and I am hoping I can locate my great grandparents’ graves (Camila Garza Villareal and Fernando Farias Garcia) which have eluded me so far. Second question has to do with literature. Although I am Hispanic and able to read and understand some Spanish, my first language is English. So, I am unable to completely understand literature written wholly in Spanish. Are any of your members able to translate Spanish to English when I find family records? If you would like me to add you family line to the second edition of this book just send me your line linking you to Cristobal. I’ll also add your name in the credits section of the book. I have tried with no success, through Ancestry.com to find information about my great, great grandfather, Antonio Hinojosa who married Josefa de la Pena. I have been led to believe he was born in Spain around 1800, but finding anything through Spanish records has not been successful. . Have you any ideas where I should look for him and my great, great grandmother? 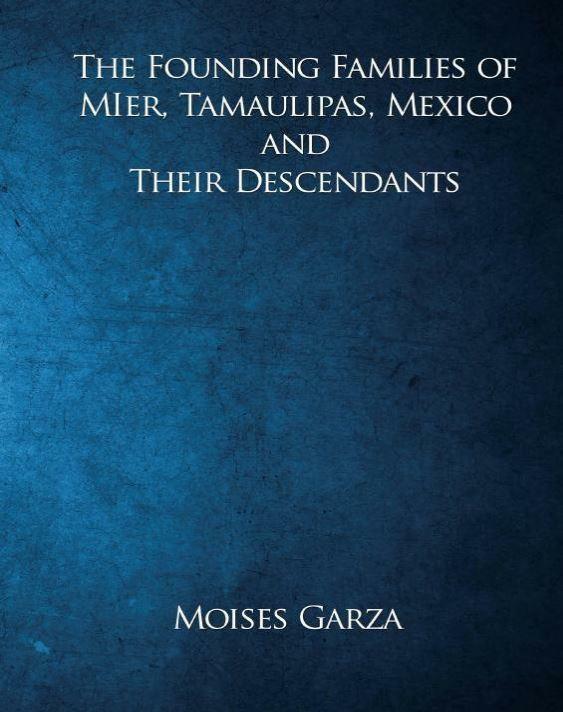 I purchased the book, ” The Founding Families of Mier Tamaulipas…”, and immediately found many ancestors. I was able to add ancestors to my tree and gave credit to the book and will pull up the pertinent documents, from FamilySearch, as supporting data. Thank you, Moises, Crispín, and all others that put this book together for our information and continued tesearch. Thank you for your comment I really appreciate it, and yes make sure to get the documents for your particular line. In order to be included in additional editions please email me your family tree. Antonio Maria Guerra Salinas, was brother of my grandmother Amanda Francisca. Several of my husband’s relatives are from Mier, Mexico. What information do you have on these families. Birth/Death/children? Do you show where the families migrated from when Mier township was formed? de la Garza, Garcia, Gonzalez, Saenz. Our Hernandez family married into the Saenz family near Goliad, TX. We still have relatives living there now. Thank you. It is just the ancestry of the families, yes birth, death, and marriage. No, I do not provide were each family came from. Hello! Mier keeps popping up when I am looking for ancestors so I wonder if someone came from there at some point in 1800s. I am having trouble tracing my ancestors back before 1800. Do you know if anyone from the Garcia family moved to Veracruz late 1800 or early 1900? Thanks. Garcia, is very popular and every Mexican state has some Garcia. Peace be with you and a happy day to you Cousin. just by the names you have here I all ready know. saving to get a copies to pass on myself. I want to Thank You for your part in this and passing of Information. wish they had used books. Is there much info about Jose Miguel Saenz in this book? If he is the one listed on the index, then the book has 11 pages on his descendants. I have traced my family to the Hinojosas from Mier. You have a lot of Hinojosas families in your book. Are they all related? I also have Salinas and Pena in my tree from Mier. I’m about to order you book and am looking forward to receiving it. All the Hinojosas in this book is related to each other. The first couple mentioned are the parents to the other Hinojosas listed on the index. It would be great if these books were available as ebooks or kindle books. I really hate to buy paper books these days. It is so much easier to always have with me when i travel and they take up less room as an ebook or kindle book. Just a thought/suggestion for future. Try this last name for a change Moises,,,(Estrada) I was born in Miguel Aleman but I lived in Mier since birth till about the age of 17, I went to Escuela Primaria Francisco Ramirez Canales ,and then Escuela secundaria Presidente Adolfo Ruiz Cortinez, Iam a descendant of General Francisco Estrada which was one of Porfirio Diaz right hand men during Porfirio Diaz’s time as president of Mexico, he pretty much owned half of mier at one point,, how much do you know about the Estradas?